Gaze over the shimmering waters surrounding Porto Cervo and you’ll likely see a plethora of nautical vessels. But not on this day, oh no. 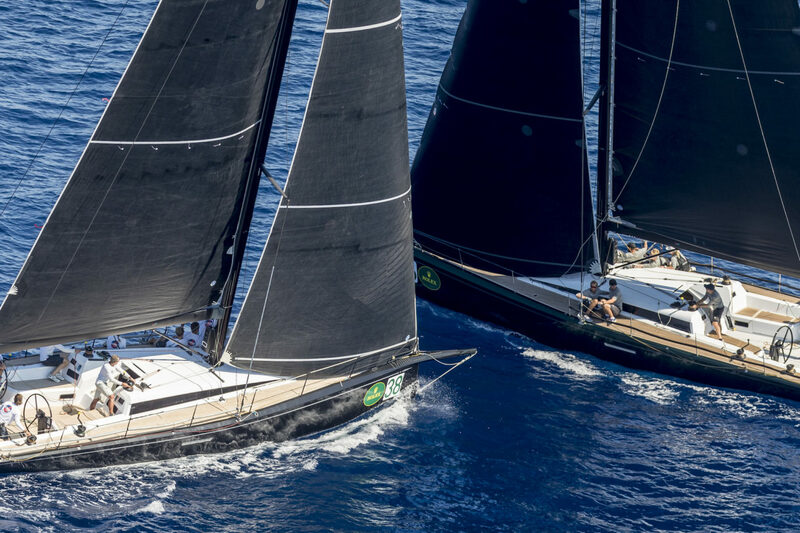 In this part of the Mediterranean today, you’ll see only the gentle shape of Nautor’s Swan yachts as they begin the penultimate day of racing in the 20th Rolex Swan Cup. 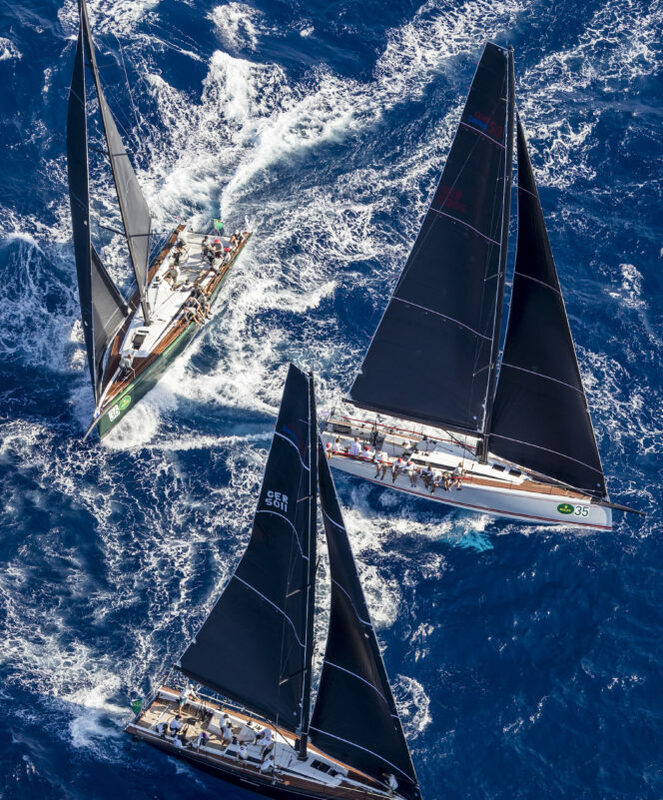 Founded in 1980, the Rolex Swan Cup is unlike any other regatta on the racing calendar. 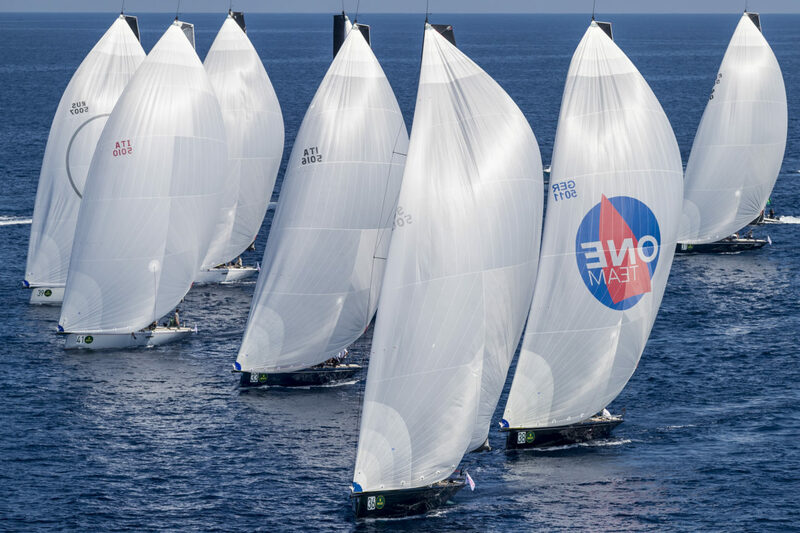 Here, only one yacht brand races over the week-long regatta. Its name? Nautor’s Swan. Since its inception in 1966, and as the first boat builder to create a yacht over 10 meters long using fiberglass, Nautor’s Swan has become globally respected as a brand that holds innovation, precision and elegance at its core. It’s comes as no surprise then that Rolex should partner with such a brand. From the dinky to the mighty, and the cruisers to the racers, this biennial event is more gentleman’s racing than down and out competition. The prize? A Rolex, of course. The man behind Nautor’s Swan today is one Leonardo Ferragamo. The son of shoe designer Salvatore Ferragamo, and the man responsible for bringing menswear to the fore of the family business. So, it’s only natural that he bought a majority share in his favourite yacht builder, and it is his personal yacht that we have been invited aboard today. Named ‘Solleone’, the $20 million Swan 115S is the very pinnacle of a refined yachting experience. "The blend between comfort and performance is what makes Nautor’s Swan unique"
Aboard, Enrico Chieffi, a former Olympic sailor and Nautor’s Swan’s Vice President, tells us more. By 10:30am we’re gently meandering out of the harbour. The four full-time staff take care of the heavy work, and we’re left to sip espresso and watch the competitors cruise out to sea. 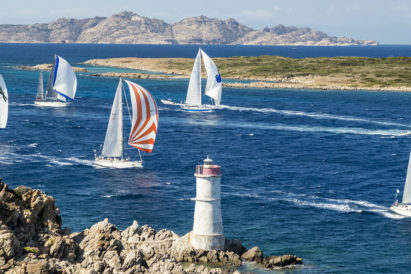 It’s already 25 degrees and the mistral blowing through the Strait of Bonifacio between Corsica and Sardinia bodes for a thrilling day of racing. 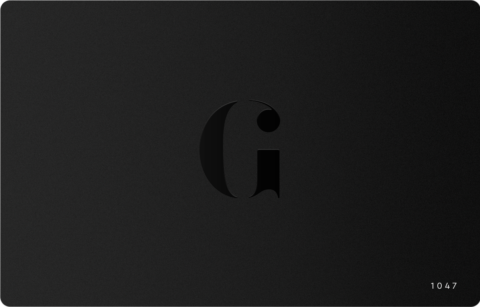 "It’s about lifestyle, putting the essence in the product and building something that is timeless"
Indeed, we can. 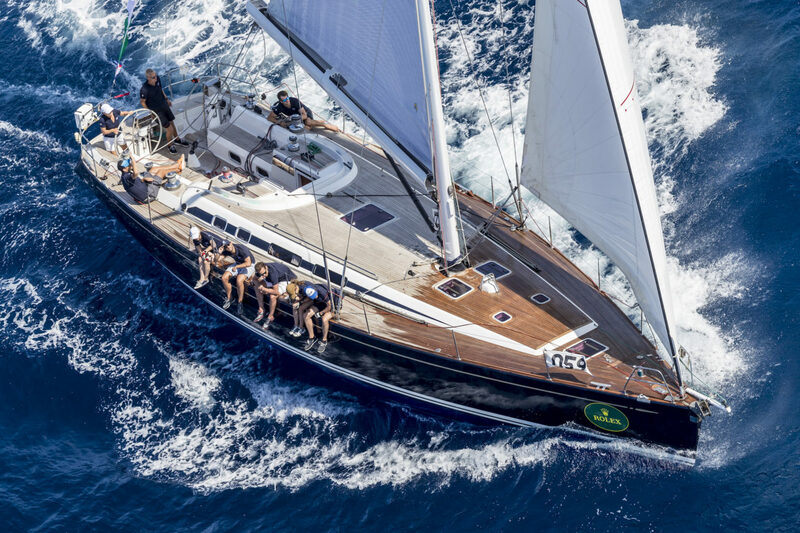 At 65 years old, Ferragamo still maintains his active passion for sailing, and as owner and skipper, he’s helming the Club Swan 50 with wave-by-wave precision while the professional sailors raise the mainsail and adjust jibs. 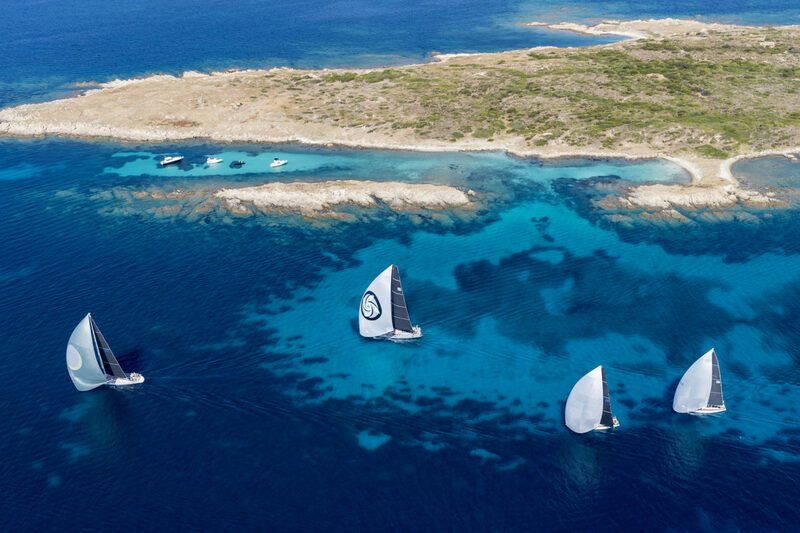 Whilst the race continues around the smaller La Maddalena Archipelago that surrounds Porto Cervo, we hoist our own sails and set of at a blistering 13 knots. Chieffi offers the wheel. “You want to sail her?” he says. With eager anticipation we accept. We return the wheel, with thankfully no damage done, as we approach a remote bay for a spot of lunch. The sails are lowered, we take a moment for a brief swim, then a feast of locally caught squid, handmade pasta and a pistachio sorbet. Time itself drifts by without thought or care when aboard a yacht, and before long we must head back to see the end of today’s racing. We’ve been tracking Ferragamo all day on the Rolex Swan Cup app; he’s currently in third but dropping quickly. Not the result we were hoping for. But all is not lost. Tonight will see us visit the Yacht Club Costa Smeralda and have the honour of joining the owners’ dinner. Before we don our finest attire, however, there’s time for a quick stroll through the surrounding mountains and down to a deserted bay, and yet more swimming. Exclusivity is what one comes to believe all yachting events are. And whilst this is true, there’s also a sense of familiarity and no-nonsense relaxation at the Rolex Swan Cup. Owners chortle and hug, they jovially discuss tactics and there’s a general merriment to the event that washes away the formality of its blazer & tie entrance policy. This is only furthered by the buffet that surrounds the yacht club’s gargantuan pool. No 5-course dinner, just good old fashioned eat what you like. Oh, but as any good host knows, always buy enough wine and champagne to outlast your guests. This, I’m happy to say, is a rule the yacht club knows well indeed. The following morning, with a fond farewell, our 24 hours at the Rolex Swan Cup has come to an end. Friendships have been made, yachts have been raced, and fine food and drink has been consumed. 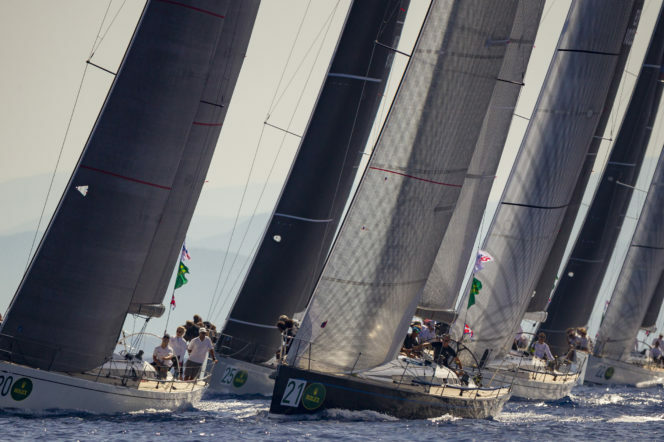 As far as yacht races go, The Rolex Swan Cup is surely one of the greatest.